Cities at Night, the European project STARS4ALL initiative, is creating a ‘Google maps’ nocturnal version using pictures taken from space. More than 17000 volunteers have classified, located and georeferenciated night pictures taken by astronauts onboard the International Space Station to create the first high resolution night color map. The citizen science project, initially designed on three apps to be used by anyone who wants to contribute to the investigation, now aims to achieve its objetive developing small online games. Astronauts take pictures of our planet from the International Space Station every day. Some of them have already been published in different media, but almost half a million images remain unseen, stored in a huge database hold by NASA. Left: Astronaut Samantha Cristoforetti taking pictures from the ISS cupola. Right: Madrid at Night as seen from the ISS. ISS030-E-82053. Images courtesy of the Earth Science and Remote Sensing Unit, NASA Johnson Space Center. 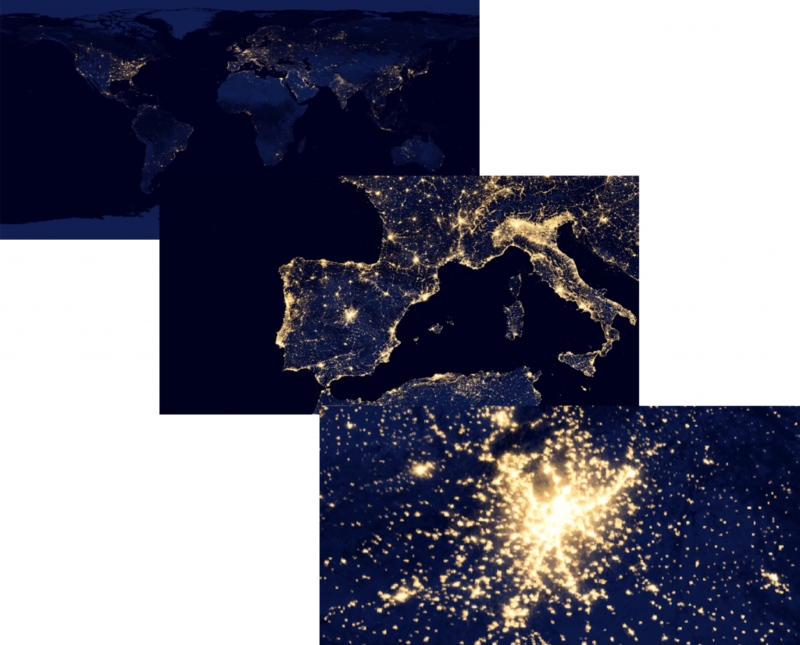 The project “Cities at night” aims at using all these images to create the first high-resolution night map of the world. The resolution of the map emerging from the project will be 10 times better than the one currently available, where cities look blurred when expanded. In addition to this overall enhancement, the new map will also include a brand new feature, which will enable users to detect the color of the light that our cities emit at night. The two scientists among a small group of volunteers have launched a crowdfunding campaign to be launched next Tuesday May the 22nd in order to seek funding for the design and the implementation of these related video games. In the final version of the game, the volunteers will see nocturnal images of cities and will have guess and identify which city is the picture portraying. By playing the game, users will help complete the set-up of the new version of the world map, which is partially already available on the project website. 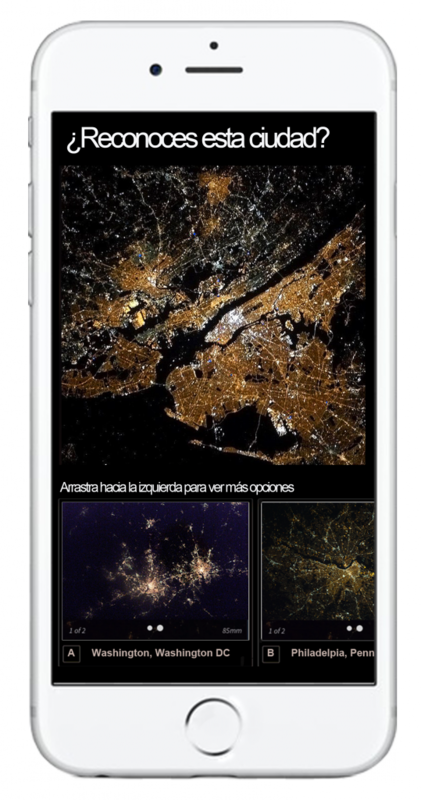 “The result of this effort will not only be a beautiful map,” García says, “since this map will display data about sources of artificial light at night that scientists have been unable to study up until now.” The first results of ‘Cities at night’ are already supporting further research on light pollution, as the one performed by Dr. Ariadna García-Saenz (ISGLOBAL) evaluating the association between artificial light at night exposure and breast and prostate cancer risk. Cities at Night belongs to the European project STARS4ALL, coordinated by Universidad Politécnica de Madrid, raises awareness about additional effects, going several steps beyond the well-known inability to see the stars. Artificial light at night alters our biological clock, which has negative effects on human health and it’s also dangerous for plants and animals, threatening the general equilibrium of ecosystems. The new map that these scientist will create represent very important data for researchers that will be able to evaluate these effects better and help us find ways of improving our energy efficiencyand reduce the resources we waste on excessive street lighting and this is the reason the researchers have the commitment of donating 12 calibrated images to 12 different research projects studying light pollution and its effects from all kind of different fields . In the images of this new map, researchers will even be able to identify the lighting technology that is being used in each part of the city. This is especially important since the migration to LED technology usually involves a change of color and cold lights are installed instead of warm and what affects us negatively, since this kind of light is more energetic. Mobile app concept. Images inside are courtesy of the Earth Science and Remote Sensing Unit, NASA Johnson Space Center.